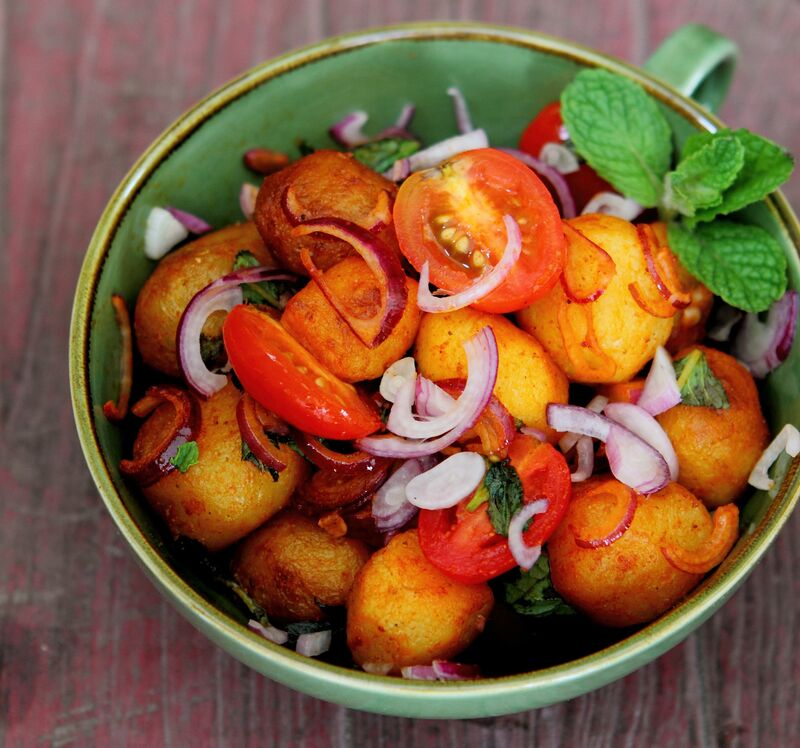 This spicy potato salad is perfect when served with Indian cuisine, such as rice and curries. This recipe was first published in Flavours magazine. Wash potatoes thoroughly and boil in salted water for 8-10 minutes (size-dependent) or until soft but firm when poked with a fork. Drain boiling water and peel potatoes or keep with skin on. Heat oil and margarine in a pan until margarine is fully melted. Add cumin seeds, chilli powder and boiled potatoes. Sauté the potatoes until light brown to allow for flavour absorption. Cool potatoes. Combine with cherry tomatoes, onion, green chillies, chaat masala and mint. Serve cold.